A Handbook of Communication Skills and Functional English deals with various aspects of human communication (both oral and written) and Body Language (Non-verbal Communication). Group Discussion, Debates, Negotiations and Audio-Visual Aids enhance the merit of the book, Different skills like Reading Skills and Writing Skills have been analysed for the benefit of second language learners. Copyediting, Indexing, Hypertext, Project Writing, Testing and above all, Internet Communication are important features of the book. 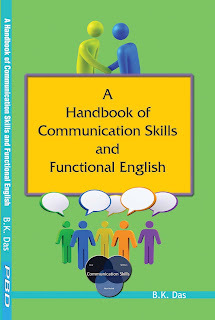 This is an invaluable book on Communication Skills and Functional English. Dr. Bijay Kumar Das, PhD. 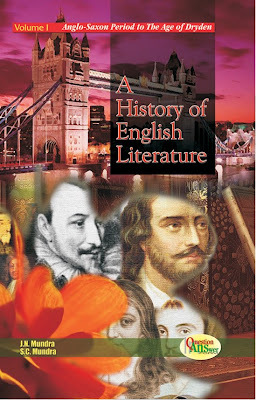 D.Litt is an eminent critic and author of numerous books on Literary Criticism, Translation Studies, Postcolonial Literature, English Literature, Indian English Literature including individual books on Nissim Ezekiel, Jayanta Mahapatra, A.K. Ramanujan, Shiv k. Kumar, Mahesh Dattani and R. Parthasarathy. He has edited New Readings in Indian English Literature (Prakash Book Depot, 2011). Recently in June 2016 he has edited a Seminal book, Revisiting W.B. Yeats’s World and Art. He has successfully guided 25 PhD scholars at Utkal University. Bhubaneswar and Burdwan University, Burdwan (W.B.). He was the Chief Editor of The Indian Journal of English Studies for three years (2007-2009). He is the Editor of the well acclaimed Research Journal, The Critical Endeavour since 1995. Previously a Reader in English, Ravenshaw College, Cuttack, Dr. Das is now a Professor of English at Burdwan University, Burdwan.